Can New Age dreamer and single mom Haley create her dream man with the law of attraction and her best friend Jessica, or will her creation turn into a gluten and lust filled cupcake nightmare? 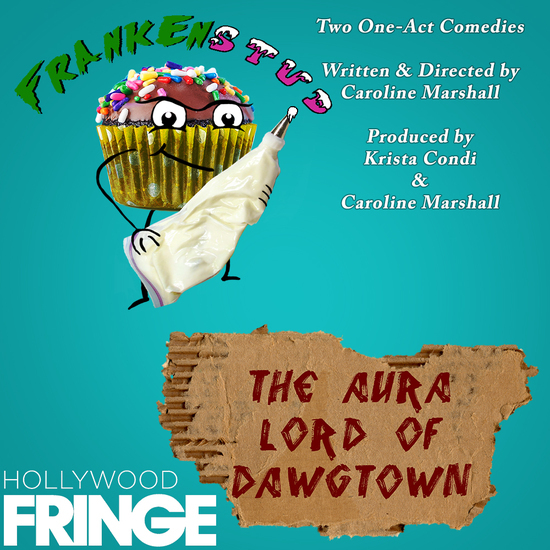 The answer lies within and with FRANKENSTUD, Winner of best play at INK Fest 2017. Homefree street psychic and the self anointed AURA LORD of DAWGTOWN is fraught over the arrival of a feisty woman named Wanda to his concrete “temple” on the boardwalk in Venice Beach. Is she a slinky she demon bent on betraying him, or a woman searching for her truest self? THE AURA LORD of DAWGTOWN has the answer.